Mar. 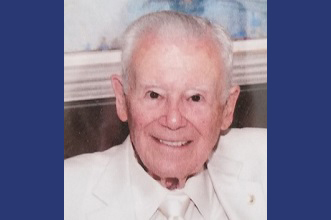 27, 2019: Robert Platt Stout died on March 6, 2019, at his home in Siesta Key, FL, at the age of 94. He had waged a battle against prostate cancer for a number of years with characteristic stoicism and humor. Bob is survived by his wife, Nancy, of 56 years, his sons, Jake (Leslie) and Bob (Maureen) of Seattle, WA; stepsons Peter Lourie (Melissa) of Weybridge, VT, and Jim (Colleen) Lourie of Bellingham, WA, and stepdaughter Annie Lourie of Greenwich, CT; by grandchildren Mackenzie Stout and Jason Stout, and step-grandchildren Suzanna and Walker Lourie, Colin Lourie, Nick Merrill, and double-step Elena Shifflette; and by great-grandson Patrick Stout (Jason). He is also survived by his sister, Rebecca Stout Underhill, and her sons Robert (Sarah) and Hugh (Betsy). His dearly loved little black Scottie, Callie, was by his side until the end. Robert Platt Stout was born on Christmas Day, 1924, in Lawrence Hospital, Bronxville, NY. The hospital was established by his great-grandfather William Van Duzer Lawrence, whose commitment to the development of Bronxville’s Lawrence Park, beginning in the 1890s, included the construction of the Hotel Gramatan and the founding of Sarah Lawrence College. He was a member of the Greatest Generation, and, as his sister Becky says, he led the charge. When Bob returned after more than two and a half years of service, he attended Hobart College. In 1947, he married Patricia Parsons, also from Bronxville, and they moved to Bermuda, where Bob worked for the Davis and Lawrence Company, a family-owned pharmaceutical enterprise. Their sons Bob and Jake were born in 1950 and 1956, respectively. Somehow, with a challenging job and a growing family, Bob managed to find time to catch the world-record Allison tuna and win the Bermuda Snooker Competition – no surprise to anyone who knew him. Bob was transferred to Hamilton, Ontario, where he was president of Moore Thompson Klinger Pharmaceuticals. He was widowed in 1961. In 1962, he married Nancy Clement Lourie and they blended their two young families, settling in Bronxville in 1967. Bob became president of an industrial baler and compactor company and was an avid volunteer for the American Cancer Society. Bob and Nancy moved to Siesta Key in 1994, and Bob spent as much time as possible on his fishing boat. He became infamous in his volunteer work for Meals on Wheels, increasing productivity by driving twice as fast as everyone else. 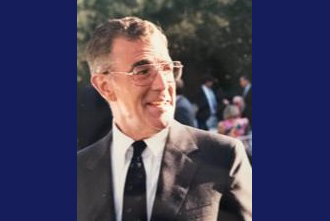 Bob was a skilled outdoorsman with a deep love of nature, which he developed over a lifetime of summers spent at his beloved Big Wolf Lake in the Adirondacks. He was an avid fisherman who was delighted to share his skills – but not his secret spots. There was nothing Bob couldn’t build or fix in his shop, and he was most happy when he was rowing, fishing, or tinkering – with a Scottie and children nearby. The perfect end to a perfect day would find Bob on the terrace at Big Wolf with a scotch and a Scottie, telling tales, laughing, and watching the sunset. A private celebration of his life will take place in July at Big Wolf Lake. Donations in Bob’s honor may be made to The Wild Center, Tupper Lake, NY 12986, 518-359-7800, https://www.wildcenter.org.